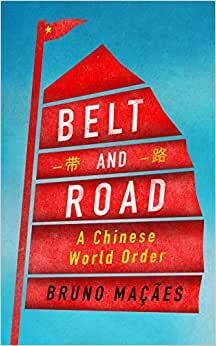 Start reading Belt and Road: A Chinese World Order on your Kindle in under a minute. Bruno Maçães is immersed in his subject but the subject is not Xi Jinping’s proposals for rethinking the ancient Silk Road connecting China to Eurasia but the full implications of the changes that are in process across the globe, economic, political, and social remaking the world we know into the one that might follow; and the routes to that existence. He might be called a roaming Intellect as he cites having been Europe Minister in the Portuguese government, has recently published The Dawn of Eurasia: On the Trail of the New World Order, and now living in Beijing, his think tank the Chongyang Institute for Financial Studies at Renmin University. Or an embodiment of Eurasia? His treatment of ‘Belt and Road’ is rich describing its geological placement, its modifications as opportunities and oppositions develop, the unfolding of initial acceptance and the rethinking of recipients as the cost-benefit ratios are ‘discovered,’ and more interestingly Power Centers’ turmoil on how to deal with ‘the renewal of China’ as Xi chooses to call it. If the work has a failing it is some redundancy as he is pulling in material from previous publications, but the points he is making about the major changes implied by China’s development are the core of the study. You will seldom find as concise a treatment of world shaking events as those implied by Xi's One Belt One Road. Everything you see in President Trump’s current meetings with General Secretary Xi regarding the ‘trade war,’ or the ‘trade dispute’ as the Chinese prefer to call it, currently fits well into Bruno Maçães treatment of the Struggle he forecast; he has alternative rendering of how the future could unfold less ominous than that Struggle. *An example: Xinjiang and its Uyghur population current in the news as a troubled region. Maçães opens up the topic: “By 2023, Xinjiang will become the largest cotton textile industry base of China and the most important clothing export base in Western China. The largest city, Urumqi, will turn into the fashion capital of Central Asia.” pp. 100-101. Suggest maps are a great way to track history but includes no maps. Worst book I have read in some time.